This past Sunday I invited my brother and five sisters over for a family meeting to talk about the sadness we’re all experiencing due to my illness. We all love each other so deeply and I didn’t want to let anymore time go by without trying to do something. Since my speech has gotten so bad I decided to start our meeting by having my brother Jim read the following letter to everyone. This past year I’ve had a lot of time to think about my life and about all of you. I sincerely feel like I am the luckiest sister alive. We are all so different which is a good thing. I remember Mom saying, “If I could shake Jim and Mick up in a bottle and blend them together I would have two perfect sons.” Maybe Mom thought Jim was too conservative and Mick was too wild. I’m not sure what Mom was thinking but if given the chance to change any of our personalities she wouldn’t have changed a thing. I feel our different personalities made up our determined, colorful and compassionate family dynamics. As I look back on how we were able to help Dad when Mom’s Alzheimer’s progressed, we formed a plan and worked as a family to implement it. 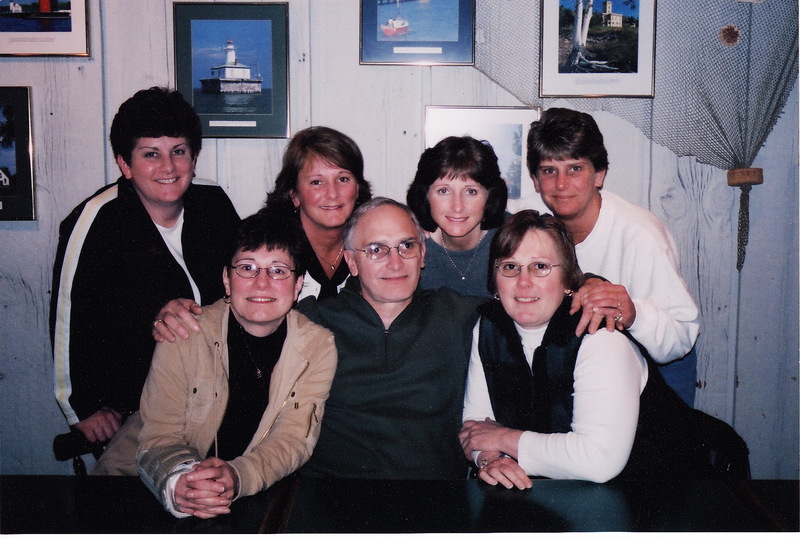 When Jean was suffering with leukemia at U of M we formed another plan to help. With the help of many friends, our family was able to support Jean and her husband Don financially by organizing a successful lasagna dinner fundraiser. During Jean’s three-month stay in Ann Arbor we were able to schedule someone to stay with her at all times so she never had to be alone. As we helped Jean we were all forced outside of our comfort zones both medically and emotionally but we dug deep within ourselves to find the courage to help our sister. Now we are faced with a new and different challenge with me having a terminal illness. My disease may not require anyone to make a schedule or physically take care of me because I have Mark, but it will require some time, patience and a lot of love. I’m talking about the grieving process. Right now we are all so stinking sad but if we help each other we will get through this with grace. I am already witnessing some amazing relationships forming. Mary and Vikke are getting closer than ever, Joan and Vikke are meeting up to exercise every week, Jim and Janet and Judy and Gordy are helping Deb and Steve with their new house, which is bringing them very close together. It seems as though everyone has already started to readjust their lives for the future and I am thrilled to witness it. Somehow if we can grow together through all of our grief and get more comfortable with the grieving process then maybe through our tears we can see beauty and comfort during my illness. Our meeting ended well and I think everyone went home feeling a little closer and maybe a little stronger. Thank-you so much for sharing! Your words always hit home….Love you! My Family and Cousins is Amazing and loved like Always. Your family is absolutely amazing!!! Just as you are. You are always in my prayers along with your family. May God grace you all with love, patience and togetherness through this difficult time. Having just spent time with my extended family for the funeral of my aunt. I can say that yes we will be sad, but we rejoice in the fun times that we all remember and when the siblings, cousins and others get along so well it just makes it that sweeter.